Our vision is to explore the cultural richness of artisans and communities around the world – to educate and inspire, while honoring the traditions and heritage of their work. Come see our artisan kitchenware and gifts from our first culture, Mexico, and our launch of the next culture - Thailand! Steamboat Springs, CO – What is the best way to analyze and re-assess an entire industry and consumer buying habits when you see a marked shift? Jacquie Lewis and Jules Vertrees says, “Step outside of the office. Look around. Don’t automatically do what you have always done.” This mother and daughter team have worked together for over 20 years and know what it takes to step outside the office and really appreciate each other’s company, experience and most of all the joy of just living life to the fullest. Today’s consumer, especially Millennials, want something different. They are more environmentally conscious, socially aware and don’t want “stuff” for the sake of wanting “stuff”. For a variety of reasons, including personal budgets and the desire to simplify, people are more interested in spending their hard-earned money on EXPERIENCES and not “things”. They love to learn by doing and sharing what they know. So, what are gift industry entrepreneurs to do when starting afresh and their expertise has always been in the business of supplying stuff? Jacquie and Jules have always been interested in people and cultures and have traveled extensively. They are foodies in the true sense of the word – cooking, entertaining and experimenting with tastes and ingredients. The idea for Verve came from wanting to bring back more than souvenirs but truly a piece of the culture. Molinillo: The molinillo is a piece of wood that has been turned, carved and decorated with burn marks (pyro gravure). 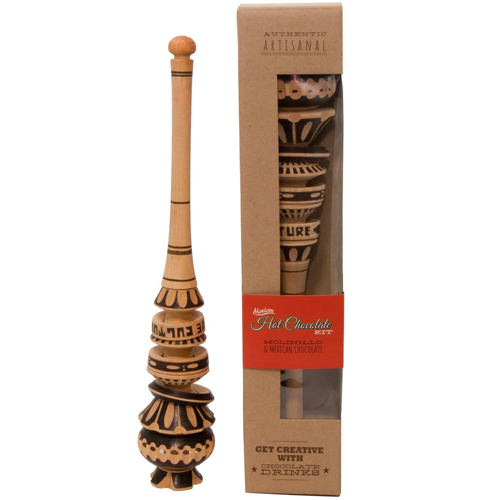 The Molinillo has a certain flair, used for centuries to whip up foam on hot-chocolate drinks in Mexican and Central American kitchens. 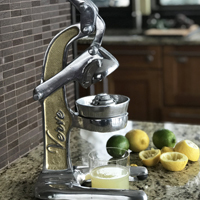 Artisan Citrus Juicer: Cast aluminum authentic juicer found in markets. Have fun with friends and family as you make delicious healthy juices or exciting new and interesting cocktails. 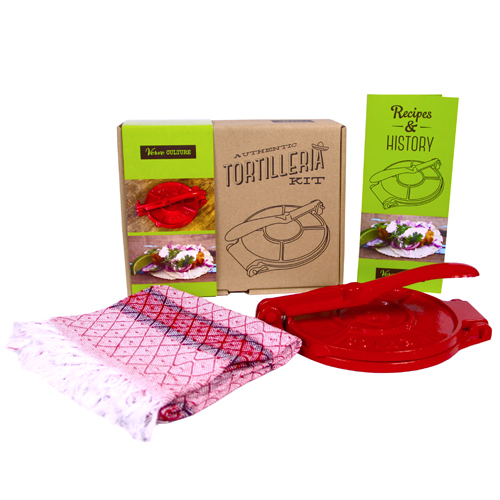 Tortilleria Kit: Includes an authentic cast iron press which is powder-coated and used to make delicious corn tortillas, an artisan made napkin to keep the tortillas warm together with a booklet with history, directions and recipes. From traditional swords to chef’s knives, the hand crafted knives will slice attention at NYNow. When the Burmese invaded Ayutthaya, Thailand, the Aranyik village blacksmiths started making swords for the Thai resistance forces. Today, swords have given way to top-quality and unusual knives. For over 200 years, these artisans craft each knife. Made from stainless steel or forged steel and Thai Pradu wood, each one will vary slightly. Families have formed co-operatives and have skilled workers for each part of the process, from forging, grinding, stamping, woodwork and finishing. 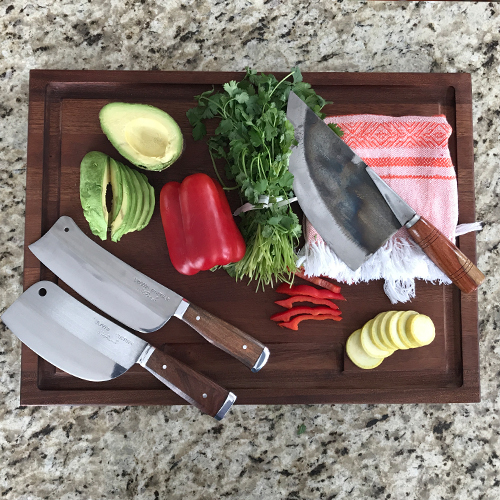 · Thai Moon Knife – perfect for mincing and peeling hard skinned fruit. Verve Culture, a first-time exhibitor at the NY Now Show, are presenting some items that will tickle your curiosity. This mother and daughter team base their new company on authentic and cultural items for the kitchen and home but with a modern twist. While exploring Thailand, we found that food, family and religion are the cornerstones of society. Our mission was to find the authentic flavors that are so hard to get unless you are traveling and exploring the local markets and street vendors making food on the spot at any time of the day or night. We work with an Organic Certified farm in Thailand that brings the amazing tastes that only come from authentic ingredients that comply with global standards. These Thai for Two kits are packed in a gorgeous fabric and make ideal hostess gifts or for personal use. Simple easy instructions with just 5 or 6 steps and can be made in 7 to 8 minutes! * Chili peppers are the main incregident in Organic Red Curry, which is spicy and aromatic. * Organic Panang Curry is a dryer curry using thicker coconut milk and served over rice for a truly authentic taste. * Organic Tom Kha Soup is a famous silky and aromatic soup made with cocnt milk broth. 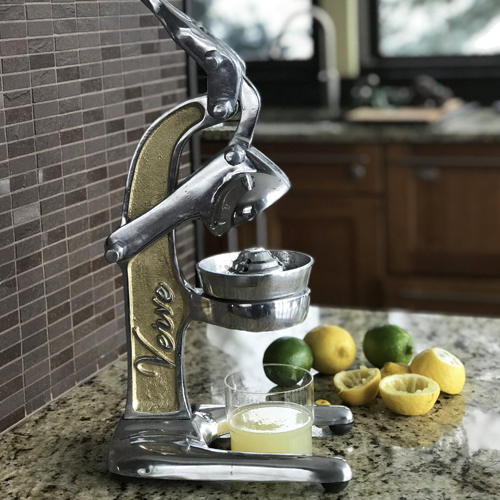 Made from recycled aluminum, this hand-cast and hand-polished Authentic Juicer is the ideal gift. These are made by artisans in Mexico from recycled aluminum cans. These Juicers have a removable juicing component for easy cleaning. Each piece is unique and as they are hand made will have variations and slight imperfections. 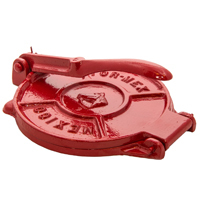 This traditional cast iron tortilla press is powder coated red to bring a vibrant, modern look to the kitchen. This kit includes and artisan made napkin to keep your freshly made tortillas warm, along with a booklet that outlines the history of corn tortillas, directions and recipes. It is a thoughtful gift for the amateur and expert chefs alike. These hand-crafted knives are made by blacksmiths in the Ayutthaya province in Thailand. 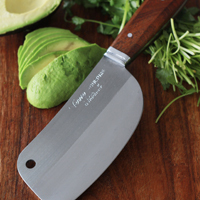 For over 200 years, artisans have handcrafted each knife. Made from Stainless Steel or Forged Steel and Pradu wood, each one may vary slightly. A useful conversation piece that is an ideal gift. 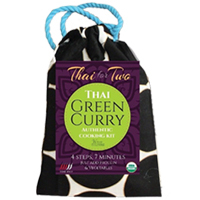 Our Thai for Two curry kits have all the authentic and certified ingredients to ensure you have the real taste of Thailand. 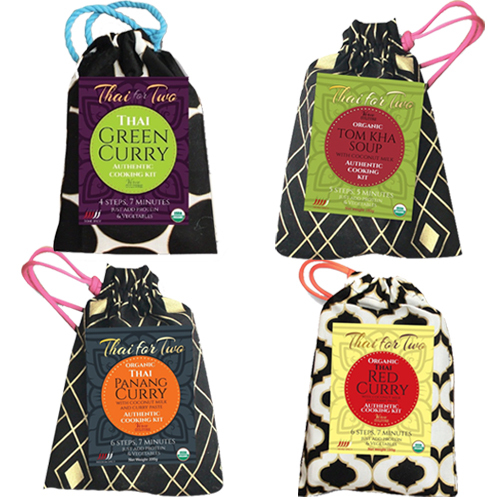 Grown on a certified organic farm north of Bangkok, find our Green Curry, Red Curry, Panang Curry and Tom Kha Soup. Just add vegetables and protein of your own choosing. No wasted packaging and a delightful hostess gift!